Make your Internet Faster more Private and Safer with AdBlock BA.net. BA.net/Adblock stops advertisements on Safari, Any Web Browser, Any Platform. 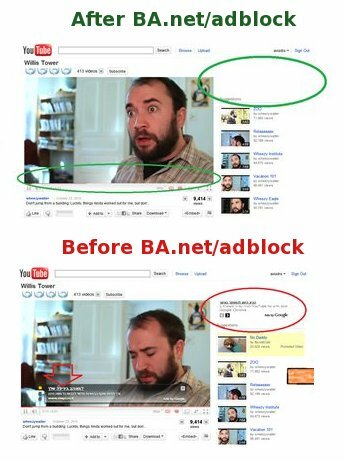 Blocks Ads from appearing in YouTube, Facebook, Apps, messaging programs and more! What Really Happens On Your Network ? new Premium iPhone AdBlock + VPN This config will also work on mobile networks, not only wifi. Ad Injection at Scale: Assessing Deceptive Advertisement Modifications (pdf) Today, ad injection has entrenched itself as a cross-browser monetization platform impacting tens of millions of users around the globe. Injected ads arrive on a client machine through multiple vectors: we identify 50,870 Chrome extensions and 34,407 Windows binaries, 38% and 17% of which are explicitly malicious. A small number of software developers support the vast majority of these injectors who in turn syndicate from the larger ad ecosystem.